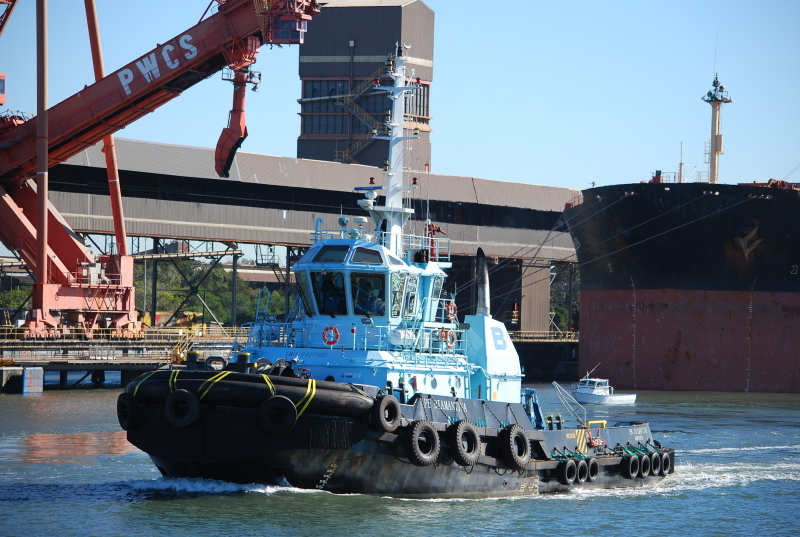 Smit Lamnalco, an international tug company based in Europe, has positioned two tugs here in Sydney, the Fitzroy and the Diamantina on long-term charter to a local operator, Engage Towing. I'm sure they were both over here in the west when the Gorgon Project was on. Nice looking tugs. Could be, after all they are leased out, so they go where the business is.